Getting a cab at the last minute can be a New York nightmare! Discover the benefits of planning ahead for your taxi to JFK and find your travel zen. Are you planning your trip out of Manhattan to JFK International Airport? Leaving New York City at the end of a long trip can be challenging. That's because you need to know when to leave, how to avoid traffic and the safest way to do it. There are more than 13,000 NYC yellow taxis cruising the streets of the five boroughs of New York City each day. There are also thousands of other private hire options, including cabs and shuttles. This means that there are lots of options to choose from when you are heading to and from the airport. Read on to learn more about how to pick your next taxi to JFK! One of the most important parts of your airport transportation is reserving your cab in advance. In a perfect world, the trip from most areas of Manhattan to JFK--just over 18 miles--is about 45 minutes long. But the reality is that leaving and entering Manhattan often takes much longer than that. This can cause some anxiety about trying to plan your trip back to the airport. One way to alleviate this stress is by reserving the cab for your return trip in advance. Doing that gives you more departure openings to choose from and can also result in some better prices, too. That's because as time passes, the supply of options can decrease, which helps drive up the price. You should research your ground transportation options to learn about the best taxis to JFK. There are thousands of taxis in the five boroughs, but it is important to remember that they can each be very different. You have an option to choose a traditional taxi or a private service vehicle. There is also the decision of which company to pick. It makes sense to start your research by determining the size of the vehicle you need based on the number of passengers and the amount of luggage being carried. You want to ensure the vehicle is big enough so that each one of the passengers can be comfortable during the ride. It's also important to find a company that is licensed and insured. The best taxi company will have licenses required by the city and the state of New York. They will also carry insurance coverage to protect you and other passengers in the event of an unexpected accident. You need to take the precautions necessary to ensure the taxi company you choose makes safety their first priority. In the borough of Queens alone, there are more than 17,000 car accidents each year! This gives Queens the highest number of accidents out of all five boroughs. But that doesn't mean that you are safe traveling to JFK from the others. Your taxi company should place an emphasis on the safety of its passengers. But how can you tell that a company is doing that? You should look for a company that requires background checks and drivers who are licensed in the state of New York. When these companies perform background checks, they will look into the driving history of a potential driver. They will also review that candidates criminal record, if any, to determine whether they pose a risk to the safety of passengers. By finding safe drivers, with clean criminal and driving histories, this can give you confidence that you are being driven by someone who cares about your safety and experience while using their service. Whether you are traveling to and from the airport or taking a quick ride around the city, having an experienced driver matters. You should choose a taxi service for your airport transportation that has a lot of experience in the industry. But, why does this experience matter? For one thing, driving through New York City can be complicated and challenging. There are hundreds of different roads and there is also regular construction that requires a driver to divert his or her path. An experienced taxi driver is familiar with the layout of the city and can get you to where you need to go faster. Although JFK Airport has always been in the same location, the truth is that there are many different ways to get there. You need a driver who can navigate the roads in your borough to get you on the interstate and headed toward your airport destination. Being familiar with JFK Airport will also allow them to get you to your gate with ease. This will help you cut down on walk times through the airport and the added frustration of finding your way around in a new place. You need to find a taxi cab company that offers 24-hour service--both from a customer service standpoint and on driver schedules. Having around the clock customer service is important because you need a company that is available to respond to your needs. For example, you may learn that your flight has been significantly delayed or canceled. 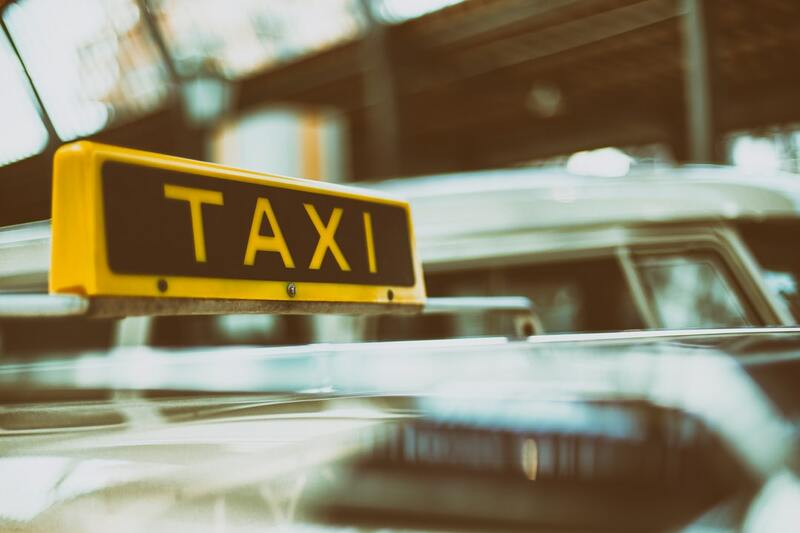 If your taxi cab company is not available to take your call in advance, you may risk having them show up to transport you and footing the bill for the cost of the entire trip! On the other hand, 24-hour drivers can give you confidence about the service you are using. That's because if your originally scheduled driver has an issue on the way to pick you up, or gets caught in traffic, you need to have a back-up plan. The best taxi to JFK is one that is dependable, safe, and affordable. But the same thing goes for taxis throughout the State of New York, too. At Absolute Taxi, we are based in Oneonta, New York, offering services to and from airports and other destinations in the area. We also have shuttle services and to and from JFK Airport! We are an experienced team of professionals with a safe driving history and clean backgrounds. We have a team of reliable drivers that are licensed and insured. We work together to give you first-class customer service and a memorable ride to wherever you are headed! Contact us today to learn more about our services and set up your next taxi ride!